Arsene Wenger has admitted that Arsenal might need to break the bank in order to keep Mesut Ozil at the Emirates. The German attacking midfielder is currently on a contract that sees him earn £140,000-a-week in wages. His current deal, though, expires in 2018, and the club will be looking to tie him down to a new deal. According to the Telegraph, the 28-year-old is hoping for an improvement on the salary he currently earns, and could hold out for up to £200,000-a-week. While Wenger admits that it would cost a fair amount of money to keep Ozil with the Gunners, he also insisted that money wasn’t the sole reason for the midfielder wanting to remain with the north London club. “I don’t think he needs convincing,” said the Frenchman. “He wants to stay here. But if you have a good bank, call me. 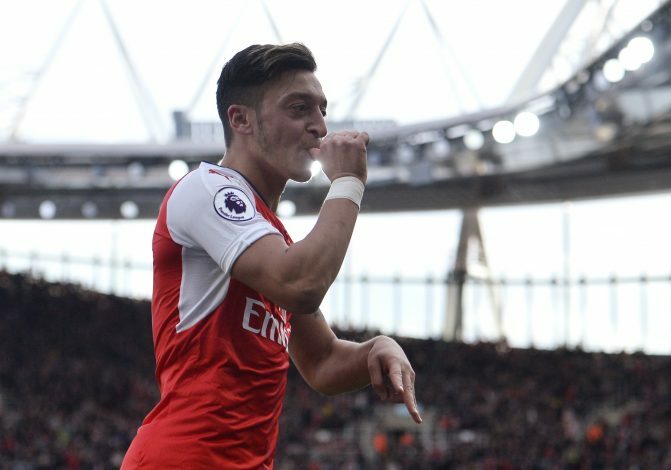 Ozil has been in superb form, and has made a brilliant start to the season, scoring three goals – against Watford, Chelsea and Swansea – in seven Premier League appearances so far. He has been essential to Arsenal making a strong start to the new campaign, as they currently find themselves level on points with Manchester City at the top of the table.